Brushing my teeth is getting more difficult because I can’t open my mouth as wide as I used to. I was using a battery-powered toothbrush before but the movement and vibration of the brush caused my jaw to spasm and the only way I knew to stop it was to bite down on the handle which really made it worse. Mark would then turn the toothbrush off allowing me to relax enough for him to pull the brush out of my mouth. 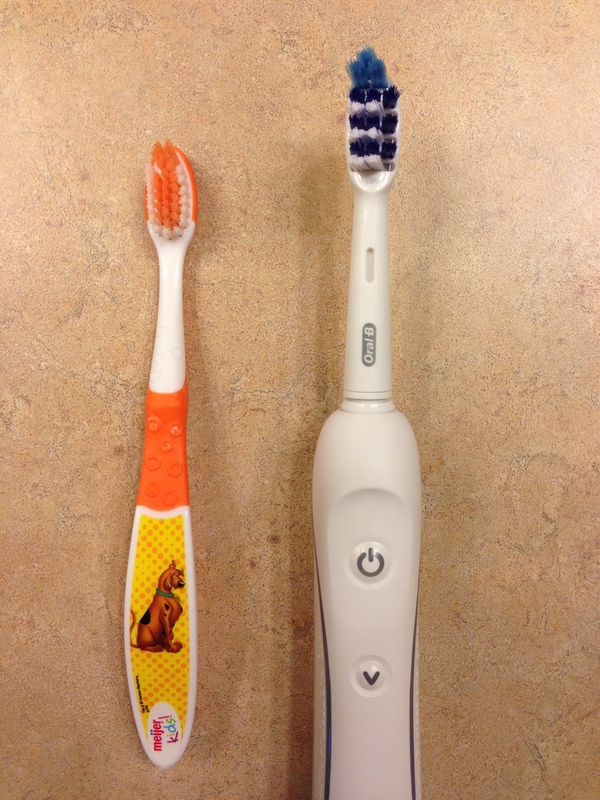 I ended up switching to a children’s toothbrush with a smaller head so Mark has more room to maneuver the brush in my mouth. ALS is slowly creeping into every crevice of my body. things we take for granted…Thanks, Rosemary.